29 May 2015 | Last spring the US Environmental Protection Agency (EPA) and the US Army Corp of Engineers released a proposed rule aimed at clarifying which waters are protected under the Clean Water Act (CWA). What followed was a contentious year with opponents hailing from the legislative, agriculture, energy and property development spaces launching a fierce campaign to prevent the proposal from becoming regulation. Nevertheless, the two government agencies released a final version of the Clean Water Rule this past Wednesday. “Protecting our water sources is a critical component of adapting to climate change impacts like drought, sea level rise, stronger storms, and warmer temperatures – which is why EPA and the Army have finalized the Clean Water Rule to protect these important waters, so we can strengthen our economy and provide certainty to American businesses,” said EPA Administrator Gina McCarthy in a statement. The EPA insists the rule does not expand CWA jurisdiction and will not mandate any additional permitting requirements but precisely defines the wetlands and streams protected under the CWA, which would lead to a faster and more predictable permitting process. The rule is in part a response to ambiguous language in the CWA that has led to US Supreme Court cases that resulted in more questions than answers, according to the agencies. The Clean Water Rule, which is grounded in science, is clear on its protections of smaller bodies of water that function as a system and impact downstream waters. This includes parts like shallow wetlands called prairie potholes, coastal prairie wetlands in Texas and western vernal pools in California. Vernal pools are small seasonal wetlands that provide valuable habitat. Also, navigable waterways and their tributaries are protected because of their potential impact downstream. However, water types like groundwater and ditches not connected to streams aren’t covered. Neither are subsurface flows or tile drains. Suzy Friedman, the Director of Sustainable Agriculture at NGO Environmental Defense Fund, pointed out the need for much further participation and cooperation-particularly from the private sector-outside of federal regulations to protect and maintain the country’s waters. 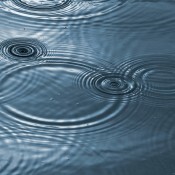 “To drive real change, we need the private sector to create strong market demand for clean water,” Friedman said. For Riggsbee, the big question is how the rule will impact mitigation. In theory, this rule would increase demand as waters with vague regulations receive the full protection the CWA has to offer. However, Riggsbee is skeptical that this will lead to more demand within the marketplace. “In my experience, when compliance gets more expensive you get fewer players willing to pay the price,” he said. Developers and farmers will simply bypass the entire process of mitigating their impacts and accept the risk that comes with breaking the rules, Riggsbee said. He believes, then, that this rule will likely come down to compliance enforcement, which varies heavily geographically. As the rule was just finalized, comments continue to filter out from affected industries and interests. The National Farmers Union, an advocacy organization for farmers and ranchers, has come out in favor of the new rule. While not perfect, a statement said, the finalized version is much improved over last year’s proposed rule and does offer certainty regarding regulation over ditches-a long-time murky issue. “The final rule puts bright-line limits on jurisdiction over neighboring waters, offering farmers increased regulatory certainty and mitigating the risk of enforcement or litigation,” the organization said. However, a statement from the National Association of Home Builders wasn’t supportive because the organization believes the rule’s clarifying definitions are actually expansions of their traditional meanings. The result is a federal overreach adding more regulatory burdens on the building industry, according to the association. “Regrettably, as a result of these overly broad definitions, this rule will soon wind up in the courts yet again,” it said. The rule will go into effect 60 days after publication in the Federal Register.